After we made fairy gardens, we wanted to sing fairy songs and do actions. Of all the songs we know, none were about fairies. We had to make some up. 1 little, 2 little, 3 little fairies. 4 little, 5 little, 6 little fairies. 7 little, 8 little, 9 little fairies. 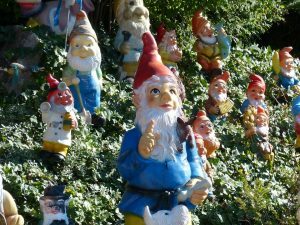 10 little fairies all around. 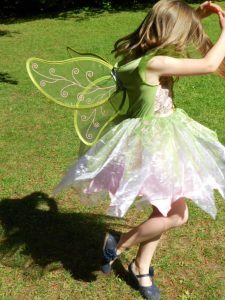 Not all kids are into fairies, so you might want to use another mythical creature. Instead of little, substitute other words that tell about these beings. For a fairy action song, use the tune to This Is the Way We Go To School which is the same as Here We ‘Round the Mulberry Bush. This is the way the fairies fly, fairies fly, fairies fly. This is the way the fairies fly, ‘round and ‘round. This is the way the rock troll rolls, rock troll rolls. This is the way the rock troll rolls, over and over. 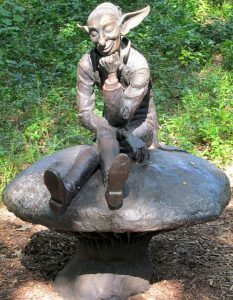 This is the way the leprechaun dances, doing a jig. 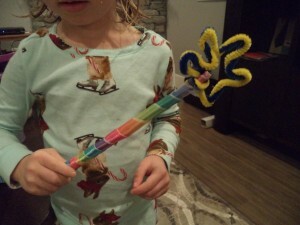 Some fairies have magic wands so kids can sing about that. This is the way the fairies wave, fairies wave, fairies wave. This is the way the fairies wave, wave a magic wand. Singing is like a magic activity that activates the whole brain. Do you know any other fairy songs for kids? 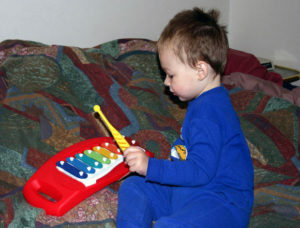 Christmas songs and music for kids are full of fun and action, much like children themselves. 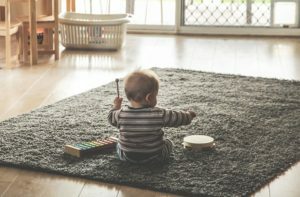 The music and the words inspire many different ways to play, like singing, dancing, and making music. As adults, we groan when stores begin playing Christmas music because we have heard the popular songs over and over gazillions of times but that’s not the same for kids. They may remember from the year before but not only are these songs fun to hear, but fun to sing too. Even wee little ones love the Hey in Jingle Bells and add it whenever there is a pause. The songs Frosty the Snowman and Rudolph the Red-Nosed Reindeer have inspired whole movies and television shows. You put your front hooves in, you put your front hooves out. You put your front hooves in and shake off all the snow. You do the Reindeer-Pokey and you dash all around. 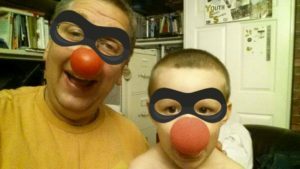 You put your red-nose in and you blink it on and off. Christmas music doesn’t need words. Put on some of your favorite music and let kids dance around. Kids will make up their own moves to the rhythm. We can dance with them and enjoy the brief time together. Frosty the Snowman uses dancing right in the words. Are there some other Christmas songs and music for kids you can suggest? Bells and drums are strongly connected to Christmas. Kids, from little ones to big ones, can make drums with anything. Bells come in a variety of sizes from small ones that jingle softly to much larger ones that drive parents crazy. Metal pans and a wooden spoon make a noise, er sound, that is like a drum and a bell. Play a few songs and let kids tap or ring along. Christmas songs and music are more than notes and words. They come combined with memories. Voices echo to us despite the years. Do not let worry about your voice not being good enough stop you from singing with your kids and family. Are any of the voices you hear in your memory ones you would love to hear again no matter how flat or off-key? When we listen to someone we love singing, we listen with our hearts not just our ears. Christmas songs and music for kids inspire a variety of play and when it’s time to say goodnight, do they also encourage sleep? There are not a lot of kids dragon songs but this children’s dragon book turned an old favorite about farm animals into a very funny, silly one to sing. 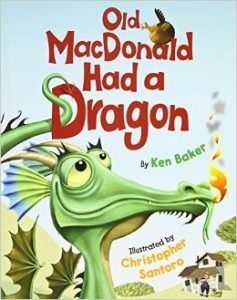 Old MacDonald Had a Dragon is written by Ken Baker and illustrated by Christopher Santoro. In the story, the farmer likes having a dragon on the farm but one-by-one the animals on the farm object. As the farmer keeps singing, one-by-one the dragon swallows them up. When the dragon eats the dog, the farmer objects. By this time, kids can predict what happens to the farmer. Inside the dragon’s tummy, the farmer rejoins the other animals. The farmer keeps singing but now it goes, “Old MacDonald had a dragon, E I E I O. And IN that dragon he had a cow, pig, sheep, and dog.” The dragon burps everyone out and flies away with a terrible tummy ache. 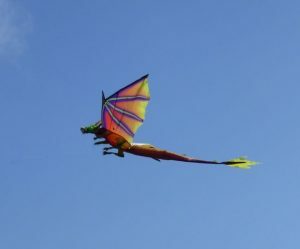 Instead of being on the farm, kids can sing about what animals are IN the dragon. You can also add the names of the people in the family. At the end of the song, remember to BURP so there’s a happy ending. Kids can add the words “Excuse me,” and fly away. Another song is Fly, Dragon Fly. This isn’t about dragon flies but actions dragons can do. The first verse came from EverythingPreschool.com but the rest we made up to have more singing fun. Add more actions and make up some new rhymes.. Stand up like a pole. Finish with a fiery roar and a rest. You can rest a bit. Of course, Puff the Magic Dragon is another song but that one has lots of words. Do you know any more kids dragon songs?